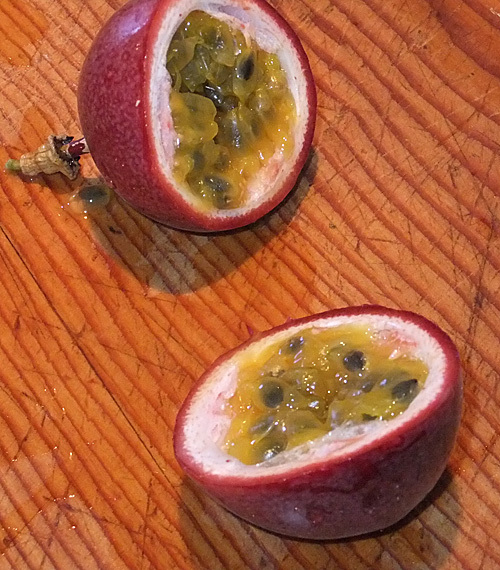 You may have noticed that passionfruit has been on my mind a little bit. As we have a lot of it, with still more to come, I think. On Sunday, I made jam from the passionfruit. This required unearthing all the jam-making equipment that my mother-in-law had given me and washing everything. And then the jam making began in earnest. 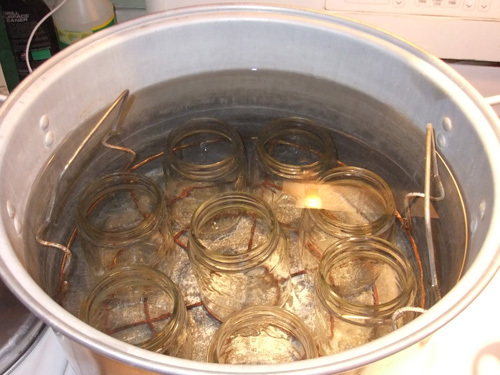 The result being two and three quarter pint jars of pink-colored (from the skins that were boiled) passionfruit jam. And then to wait for 24 hours to see if the seals took. The recipe I used came from here. 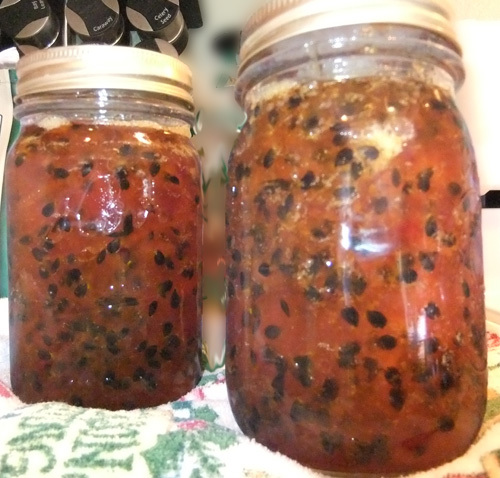 I had some passionfruit skins left and I really liked the color of the jam in this guy's recipe, so I tried that next. First boiling the skins for 1.5 hours boiled down the water (guess my pan lid wasn't close fitting enough?) so I felt if I was adding two cups of sugar, I should add the water back in. 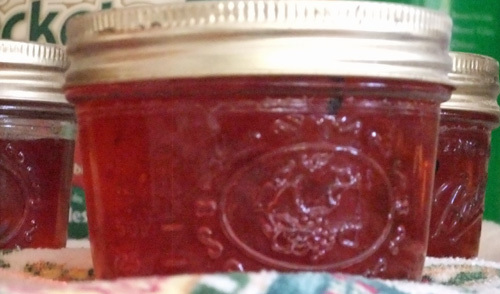 (The outer skin actually doesn't make it into the jam.) Then the blasted thing boiled over and so I spent time monitoring the heat while dipping the candy thermometer in and out of it. And then I forgot to swoop out the air bubbles and two jars didn't do that telling "click" of sealingbut they all did seal. Unfortunately, they didn't gel so it's ice cream with passionfruit skin sauce for us! 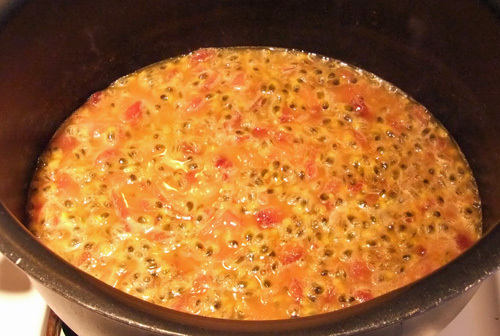 After another 2+ hours I've ended up with four small jars of passionfruit skin sauce and they look really pretty. Too bad they have to be consumed within a week. I'm going to use a jar in a pork glaze, took a jar to choir... and see if I can give the other jar away there. So I think it's official. I'm hooked on jam making. Ooh, I bet that was yummy on pork.